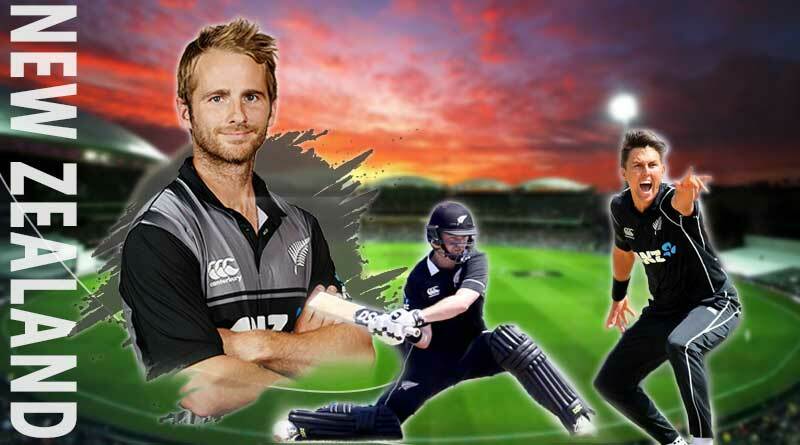 Key Players for New Zealand against India – Set to go underway from Wednesday, 23rd January, the 5 match ODI series offers New Zealand a massive opportunity to announce themselves as real contenders for the world cup title. Having enjoyed a golden run in ODIs in their country in the last couple of years, New Zealand have over the period of time emerged as one of the strongest countries in the format, having in their artillery not only individual match winners but players who under the elevated captaincy of Kane Williamson functioned extremely efficiently as a unit to blow apart teams. Come India, New Zealand knows they’ll have to be at their meticulous best and put in resounding performances throughout the five ODIs if they are to defeat the Asian giants which is a huge ask in itself. Fortunately for the hosts, they have just the standout performers who can grab any match by the scruff of its neck and take their side to victory. Having established himself as one of the most complete players in international cricket, owing not only to his astute captaincy and decision making but also due to the immense skill set, talent and expansive range of shots with the bat. India is an opposition he is all too familiar with, having displayed his entire plethora of abilities as a world-class cricketer last in the year when he emerged as the highest run-getter on Indian soil in the Indian Premier League. In Williamson, New Zealand has an able leader who has taken the country to immense heights in recent time and also a more than able bat at number 3. Similar to Virat Kohli, Williamson loves flourishing when the side needs him the most, guiding his teams to crucial victories on more than one occasion. He’s been the fulcrum and foundation of his side for quite some time now and his status as one of the best batsmen in the world was on display once again in the recently concluded ODI series against Sri Lanka where he had hit two incredible half-centuries. Delhi Daredevils newest purchase, Colin Munro has had a good start to 2019, having hit 87 in the second ODI against Sri Lanka. He’s not known to hang around for long and prefers taking on the bowlers and if he can get his side off to a quick start, the rest of the middle-order can take off from there. The way India’s spinners Jadeja, Chahal and Yadav negotiate him and similar aggressive and full of intent New Zealand’s batters will be crucial for the tourists and if such batsmen get going in the middle order, it will be extremely difficult for the Indians to hold back the hosts on relatively small grounds. Munro who isn’t known for his consistency though, having yet to hit a century in ODIs and averaging more in T20Is (33.15) than ODIs (26.04) will just have the task of disturbing the line and length of India’s opening bowlers. The battle between him and several other fearless New Zealand bats will make for an interesting watch and be one of the key battles to keep an eye out for this series. A name in international cricket known for his ability to bowl consistently at a feisty pace, stinging and smashing the balls into the batsmen, Boult will be one of India’s biggest challenge in this series. He can easily get the ball to touch a fearsome pace; ruffling batsmen up with his accurate line and length and has a knack of getting crucial wickets. He will be a real threat with the new ball and expect to see him keep bending his back and sending down brutes by the over to rattle India’s batsmen. New Zealand will be expecting him to get rid of Virat Kohli and Rohit Sharma early on and the contest between these two and Boult will be an absolute delight with both parties huffing and puffing to get the better of each in a fantastic tussle between bat and ball.